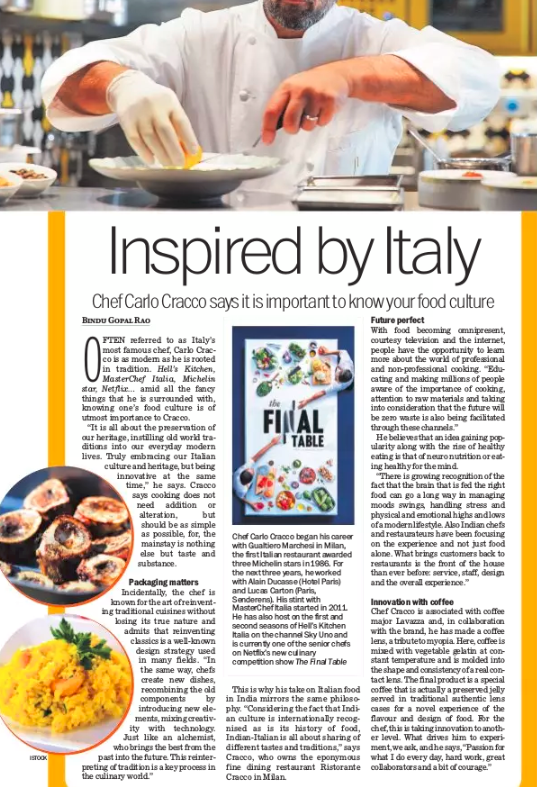 To say that Chef Carlo Cracco has been there and done that is no understatement and it is little wonder that he is often referred to as Italy’s most famous Chef. Hell’s Kitchen – Check. MasterChef Italia – Check. Michelin star – Check. Netflix – Check. Well, we are talking of one person who has achieved all this and more. Meet Chef Carlo Cracco who began his professional career working with Gualtiero Marchesi in Milan, the first Italian restaurant awarded with three Michelin stars in 1986. For the next three years he worked with Alain Ducasse (Hotel Paris) and Lucas Carton (Paris, Senderens). He has also worked in the Enoteca Pinchiorri in Florence and helped the restaurant get awarded with three Michelin stars. His stint with MasterChef Italia, the well-known television reality show for aspiring chefs started in 2011 along with Joe Bastianich and Bruno Barbieri. He has also host on the first and second seasons of Hell’s Kitchen Italia on the channel Sky Uno and is currently one of the senior chefs on Netflix’s new culinary competition show The Final Table. Today with food becoming omnipresent courtesy television and the Internet people have the opportunity to learn more about the world of professional and non-professional cooking. “Educating and making millions of people aware of the importance of cooking, attention to raw materials and taking into consideration that the future will be zero waste is also being facilitated through these channels.” Having worked in an Indian context he believes that an idea gaining popularity along with the rise of healthy eating is that of neuro nutrition or eating well for the mind. “There is growing recognition around the fact that the brain that is fed the right food can go a long way in managing moods swings, handle stress and handle the physical and emotional highs and lows of a modern lifestyle. Also Indian chefs and restaurateurs have been focusing on the experience more than food alone. What brings customers back to restaurants is the front of the house than ever before: service, staff, design and the overall experience. He succinctly summarises his journey which also has a key learning whether you are a Chef or not. “Passion for what I do every day, hard work, great collaborators and a bit of courage.” Well, certainly Chef has walked the talk and continues to inspire and lead by example. Chef Carlo Cracco is associated with coffee major Lavazza and his innovation Coffee Lens is his iconic tribute to myopia. The Lavazza Training Center in Turin in Italy has a laboratory entirely dedicated to coffee design. Food design applied to coffee is a subject that until a few years ago did not exist and now Lavazza has turned into a real art. 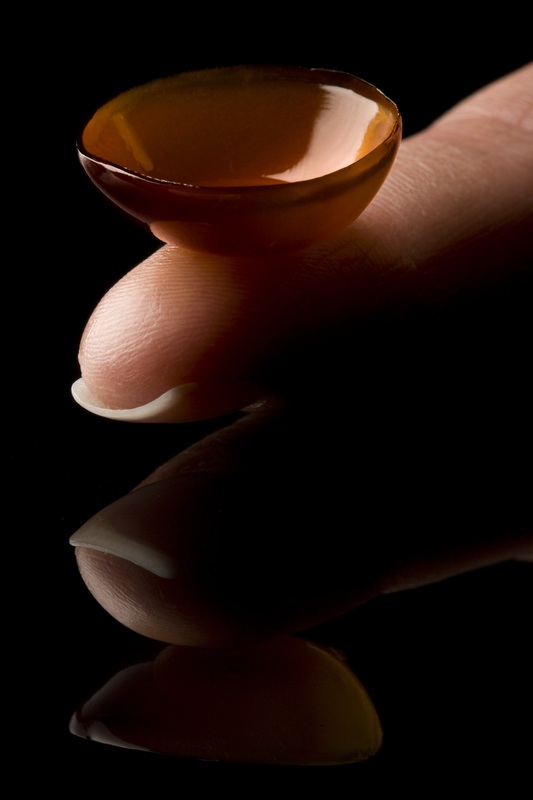 The coffee is mixed with a vegetable gelatin at constant temperature and is molded into the shape and consistency of a real contact lens. 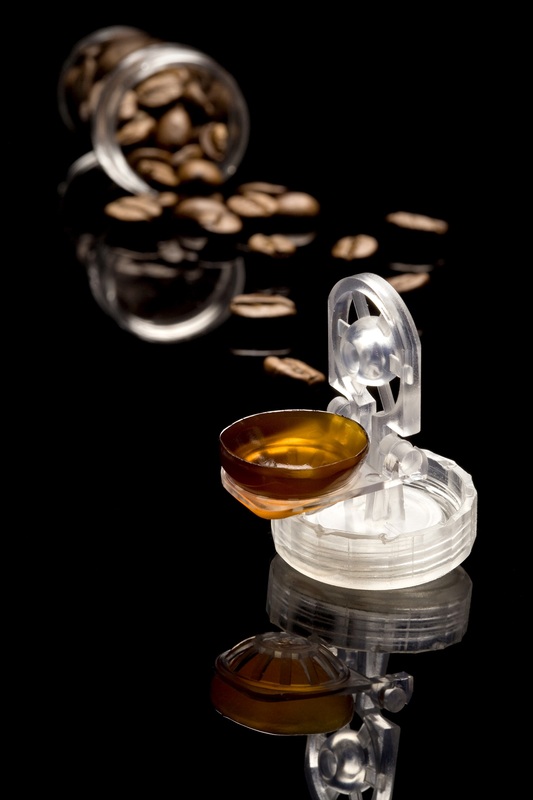 The final product is a special coffee that is a preserved jelly that is served in traditional authentic lens cases for a novel experience of the flavour and design of food.